On the 918 WARP Summit, Ms. Hyun Sook Yoon, IWPG Chairwoman, said “In the world of the 21st century, people across the continent are able to meet people on the other side of the globe in just a few hours. In addition, with the development of information and communication, a large amount of information can be delivered in real time through the internet. However, in this world of convenience, we are constantly exposed to heartaches such as wars, terrorism, abuse of human rights, and news of sad deaths of beloved children throughout the world. IWPG is working to make sure that all children and women have the right values through peace education. I believe that there is no change as fast as education. 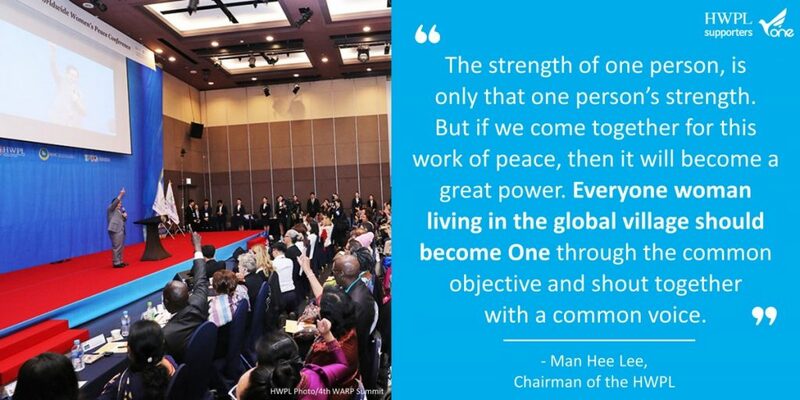 IWPG is taking the answer to peace suggested by HWPL, the “Declaration of Peace and Cessation of War (DPCW)”, and is actively spreading a culture of peace in diverse ways such as implementing peace education and training peace educators. “We have cooperation agreements with schools around the world and are working to establishing peace schools and education. We have launched the “10 Million Signature Campaign for Urging for a Peace Agreement for the Cessation of War on the Korean Peninsula” for peace on the Korean peninsula and currently it is being achieved as written on the “Declaration of Unification”. 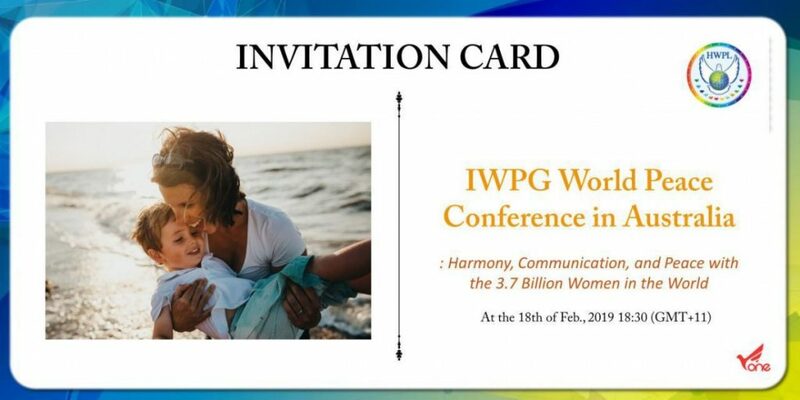 On the 18th of Feb, 2019, IWPG World Peace Conference in Australia was held in order to inspire a sense of duty as a women leader to achieve world peace, and to recognize its role as a messenger of peace. 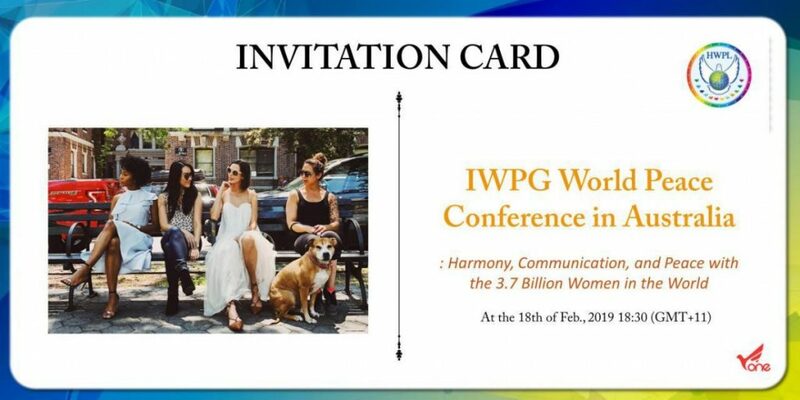 IWPG shared the initiatives and activities of IWPG over the past year and presented the main directions for 2019. People who contributed to work of peace were motivated for peace by being presented the Plaques of Appreciation Ceremony. First ladies were inspired their mission to realize peace through the inauguration ceremony of the “IWPG Peace Network of First Ladies”. 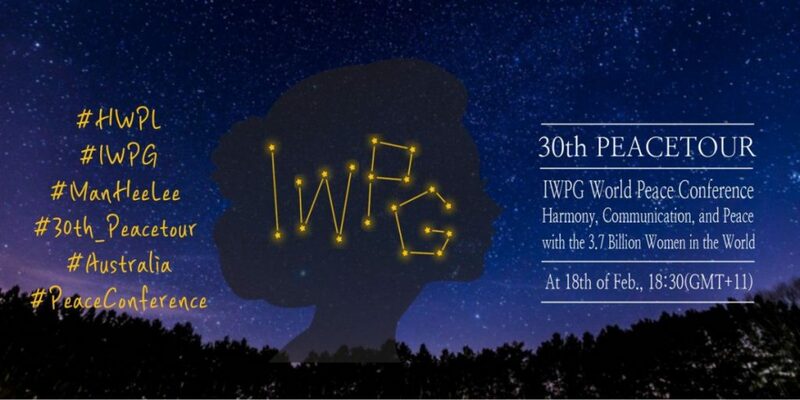 IWPG Chairwoman strongly emphasized “IWPG consists of more than 100 branches and 240 affiliated organizations. The Peace Mission with HWPL and IPYG is currently on the 30th World Peace Tour and everyone wanted. Even now, there are children and young people who are dying of war. Also in the midst of the war, women’s human rights are being violated. Should we just sit back and let it go? Young people and women all over the world should be brave enough to talk about inconvenient truths, and institutional support is also needed to prevent war. If war is a problem, there should be an answer to it. IWPG found the answer in DPCW. 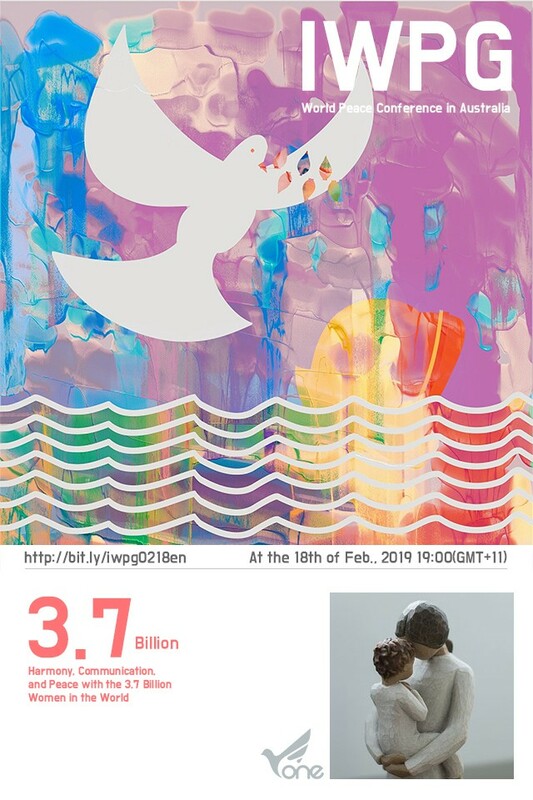 IWPG is doing amazing work as one of the two wings of HWPL, implementing peace education, training peace educators, establishing MOUs with schools and academies around the world, and doing its “10 Million Signature Campaign Urging for a Peace Agreement for the Cessation of War on the Korean Peninsula”. I hope peace comes quickly because of your efforts!